September 3, 2015 – This summer has brought growth to Meyer Borgman Johnson, as Structural Design Group (SDG) of Rochester, MN, merged with us to become our third office in Minnesota and fifth office nationwide. 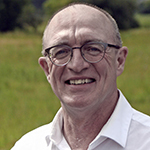 SDG was founded in 2000 by Al Hiniker, P.E., who remains in the Rochester office as MBJ’s managing principal. MBJ has worked with Mayo Clinic and other clients in the Rochester area for several decades on projects such as the Dan Abraham Healthy Living Center and the Stabile Building with Mayo Clinic, Plaza on Historic Third with Titan Development, and Rochester City Hall. We are excited to welcome Al and his staff, and we look forward to continuing to serve our clients in the Rochester area for many years to come. Please, feel free to contact managing principal Al Hiniker at 507.529.5310 to find out how we can serve you and your project needs. August 31, 2015 – Meyer Borgman Johnson in Phoenix teamed with Sundt Construction, HDR Engineering, and Coreslab Structures to build an Oscar-themed sculpture for this year’s CANstruction competition and fundraiser event, winning the Structural Ingenuity Award at the awards ceremony on August 13. The sculpture, entitled “Live from the Red Carpet,” is over 8 feet tall and uses more than 2,200 cans, filled with beans, tuna, chili, corn, and tomatoes. CANstruction is an international charity competition inviting architects, engineers, contractors, and students to design and build giant structures made entirely of cans of food. At the close of the competition, all of the food is donated to local food banks. 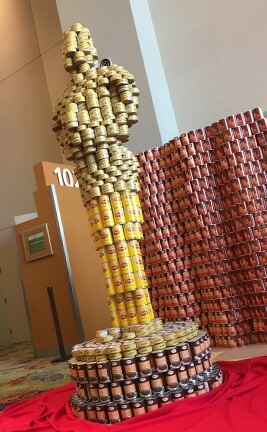 Last year Phoenix CANstruction donated over 51,000 cans to St. Mary’s Food Bank. May 15, 2015 – On May 20, Elizabeth Manning of MBJ’s Preservation Engineering Group will be presenting a paper at the 12th North American Masonry Conference in Denver, CO, May 17-20. Her paper, co-authored with Luis F. Ramos and Francisco M. Fernandes is entitled “Indirect Sonic Wave Velocity in Masonry Under Compressive Stress.” Sonic pulse velocity testing is a widely used non-destructive test method in the investigation of unreinforced historic masonry structures. The relationship between the sonic velocity in masonry and the compressive stress level in the masonry is being studied at the University of Minho in Portugal, where Elizabeth is a PhD candidate. Her presentation reports and describes results of indirect sonic velocity tests performed on masonry wallets as they were compressed to different stress levels. The full paper is available upon request after the conference by e-mailing Elizabeth at emanning@mbjeng.com. March 31, 2015 – Thank you to all who donated cash or silent auction items to our 2015 food drive campaign. Every year, in collaboration with Minnesota FoodShare’s March campaign, MBJ staff enjoy a week of games and activities, including a silent auction, to raise money for Minnesota food shelves. All proceeds are equally divided between Minnesota FoodShare and Sharing and Caring Hands. We appreciate the generosity and good will of the individuals and businesses who joined in by making a donation. Click on the links below to visit our donors’ web sites. March 23, 2015 – Last month the Minnesota Concrete Council recognized Northrop Auditorium as the 2014 Structural Design Merit Award winner. The project also received two Engineering Excellence awards given by ACEC Minnesota earlier in the year. The project is a complete redesign and re-purposing of the interior space of this iconic building on the University of Minnesota campus. Learn more about the project here and here. February 2, 2015 – Northrop Auditorium at the University of Minnesota has not only won an American Council of Engineering Companies-Minnesota Grand Award, but also the 2nd annual Grand Conceptor Award, which is given to the project receiving the most votes overall. MBJ and University team members accepted the awards last Friday at the ACEC annual banquet. “We are pleased that this project is being recognized, not just because of its iconic status, but also because so many people put their heads together to work through the project’s tremendous design and construction challenges, and did it successfully,” remarked Mike Ramerth, principal-in-charge of the project. Northrop, as it is now called, also received an AIA Minnesota Honor Award last year and a Minneapolis Heritage Preservation Award in 2009. The project was no less than a complete redesign and re-purposing of the interior space as a dynamic, state-of-the-art learning, discovery, and performance center for use by the University and the greater community. The new technically and acoustically enriched auditorium brings a world class performance experience to the University campus.